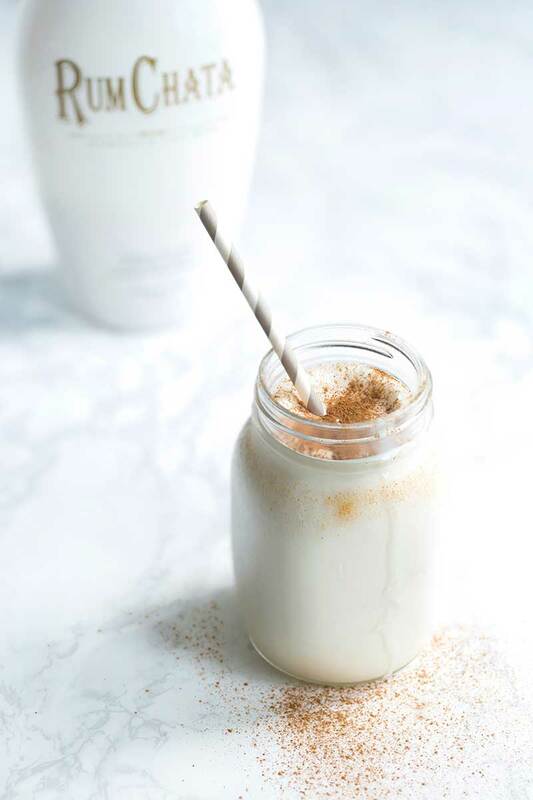 If you like horchata, you will love this Vanilla RumChata Milkshake. It’s a fast, easy, 4-ingredient summer dessert that will cool you off on a hot day. I’m always in the mood for a boozy milkshake, and this one is a favorite. If you’re looking for RumChata recipes, you have come to the right place! 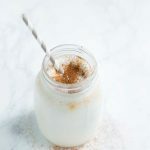 It feels like only yesterday that I first shared my love of horchata, as well as a recipe for a homemade version with cardamom. 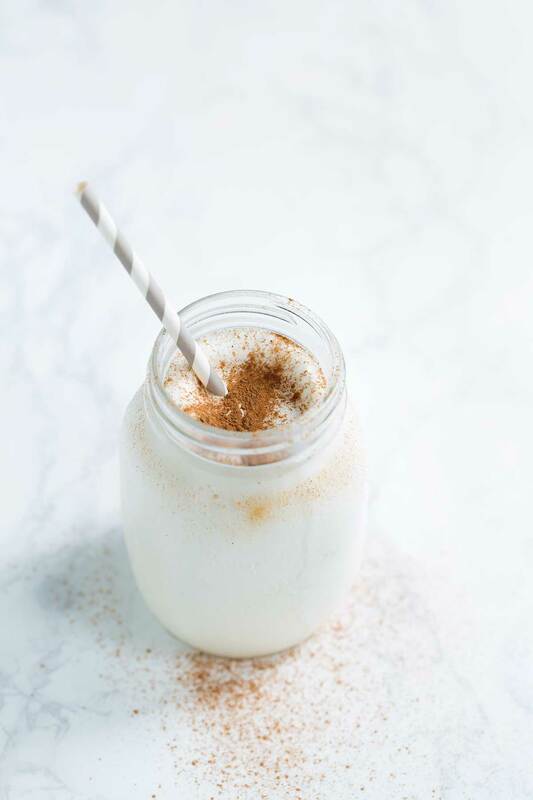 If you have no idea what I’m talking about, horchata is a beverage made from white rice, and it has become one of my favorite special occasion drinks. When Jeff and I visit his family in Tucson, I always make sure to order some at one of the local Mexican restaurants. I can sometimes find it for sale around DC at taco trucks. I love adding a bit of rum to horchata, so when I first discovered RumChata, it was love at first sight. Was I actually looking at a bottled horchata liqueur? Why yes. Yes I was. I was smitten. It was love at first taste. My next thought was “what deliciousness can I create around this drink?” I made this sweet RumChata milkshake the very next day. What does RumChata taste like? Rumchata has a unique flavor that’s similar to horchata, but my brother also accurately described it as tasting like milk that’s been steeped in Cinnamon Toast Crunch cereal (with some rum mixed in, obviously). If you like sweet cream-based liqueurs like Bailey’s Irish Cream, you’ll love RumChata. Ice cream brands and fat content DO make a difference. I prefer using Ben & Jerry’s or Haagen Dazs most of the time. They’re a bit more expensive for a reason. The milkshake will be totally decadent! Don’t use low fat ice cream in a milkshake. Treat yourself. That being said, if you’re making milkshakes for a larger group, you can get away with a cheaper ice cream. Don’t make more than 2 servings at a time, since you want the milkshake to stay frozen. Use whatever milk or cream you have. Whole versus skim won’t actually make much of a difference here when matched against ice cream and RumChata. This will also work with other liqueurs! It’s a great base recipe for boozy milkshakes. Try swapping out the RumChata for Baileys, Kahlua, etc. Looking For More RumChata Recipes? Be sure to check out my Dark Chocolate Chunk RumChata Cookies! If you like RumChata, you might also like my Homemade Irish Cream Liqueur! Who loves RumChata drinks? This Vanilla RumChata Milkshake is utter decadence! 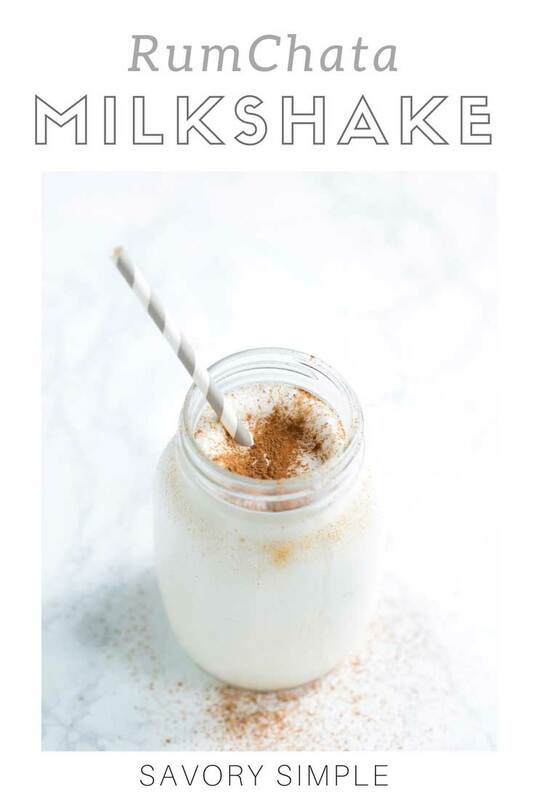 If you like horchata, you will LOVE this milkshake. 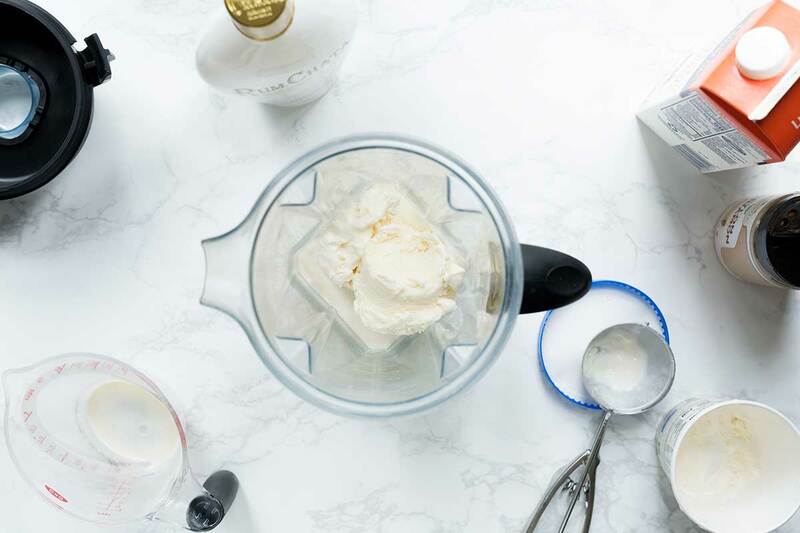 Puree the ice cream, RumChata and cream in a blender. Divide into two serving glasses and top each liberally with cinnamon. Hmm, only 3tbsp Rumchata? Lightweight. This boozy milkshake was the perfect remedy to this heat wave! Thanks for the delicious recipe! A client gave us a bottle of this for Christmas and I have been wondering what to do with it as it is so sweet. Milkshakes were about the only thing that came to mind too! Well yessss!! You had me at boozy milkshake! Perfect explanation of the taste of Rumchata- the cinnamon toast cruneh flavor is so good! This recipe is amazing! From blender to glass in a matter of moments… awesome!!! This is definitely how to do a milkshake right. Yum!